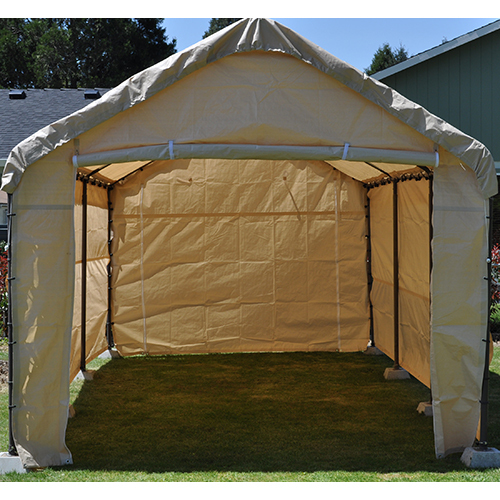 Our Tan 18 Foot Wide - Replacement Carport Zippered front panel fits an 18' wide carport frame. 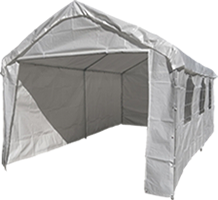 Each panel includes a 2-zipper door that rolls up and secures by using attached velcro strips. The door panel connects to the canopy frame by using ball bungees which loop through each grommet and around the frame poles. 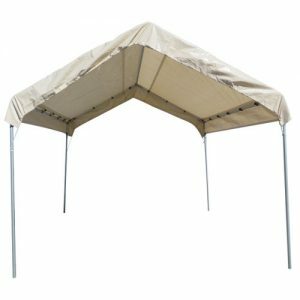 All front wall tarps are made of heavy-duty 12 mil poly material that is waterproof, rot-proof, and UV-resistant. 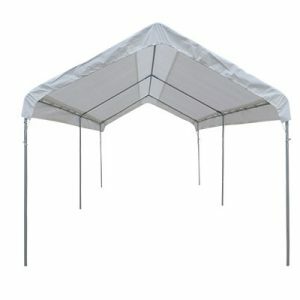 Approximately 20 ball bungees are required to secure the front panel to the carport frame. 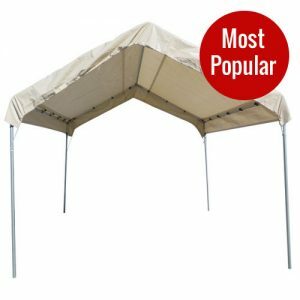 Using zipper panels on both the front and rear of the carport allows for vehicles, tractors, mowers and equipment to be driven through the carport for convenient parking and storage. Please give us a call if you have questions about the fit of your replacement carport door panels or you do not see the size you need, 541-951-2861.